The Olive Craig Board/Sault Area Arts Council in Sault Ste. Marie, MI, has kindly invited the LCAAC to exhibit in the Alberta House gallery during the month of April! Exhibiting artists include Julie Porter and Brent Heerspink, Steve Wirtz, Linda Sattler, Roxanne Eberts, Katie Eberts, Jeannette Landreville, Rick Shapero, Lisa Bohn, and Megan Kromer. ​There will be a joint reception with Sault artist Judy Merrill-Smith on Friday, April 6th from 5-7PM. Hope to see you there! Jeannette Landreville, an LCAAC fabric and quilt artist, will be selling her wares at the Home Show at the Little Bear Arena in St. Ignace, MI. The event is on April 6th and 7th. Go and say hello and check out her functional fabric art! First Place Honors to Reini Friebertshauser! 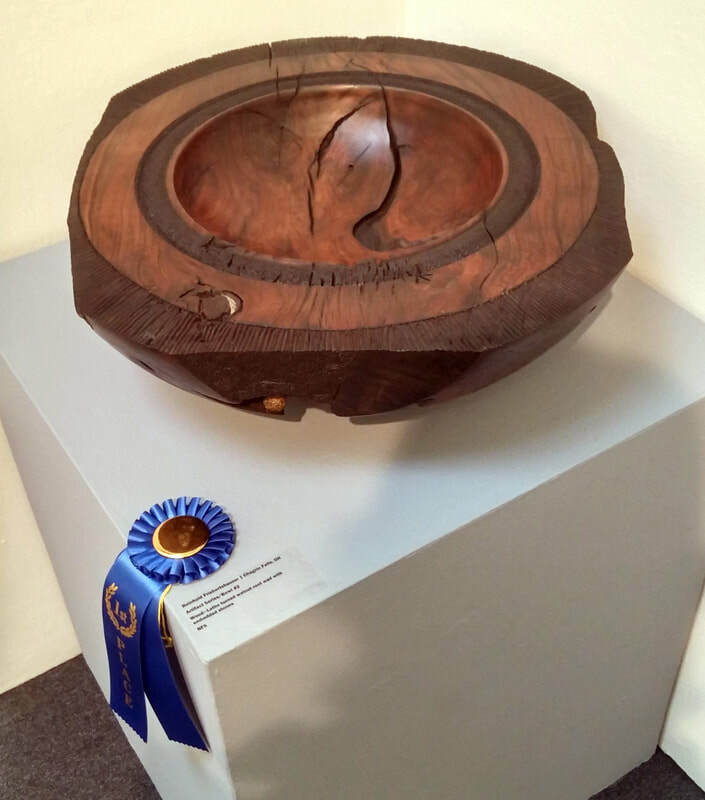 LCAAC member artist Reini Friebertshauser recently won first place honors in the 46th Annual Juried Art Exhibit at Valley Art Center in Chagrin Falls, Ohio. The winning piece was a large bowl, turned on a lathe from the root ball of an old fallen walnut tree. The 20 inch diameter piece was further embellished with hand-carved patterns and pyrographic textures, and included embedded stones and roots. Of the 375 entries from 5 states, a jury of three art professionals selected 68 works by 57 artists to represent in the show.The opening was attended by more than 3000 people. Reini's work can be seen at www.rfriebo.com and at the Old Shell Gallery. Lisa Bohn will be exhibiting 10 photographs in the Photography Show at Alberta House Gallery in Sault Ste. Marie, MI. The show runs February 6-27, with a reception and awards ceremony on Saturday, February 17, 2-4 pm. This is Lisa's first time exhibiting in a gallery show! The LCAAC is excited to announce a new project, the all-ages Les Cheneaux Coloring Book. It is on schedule to be available beginning Memorial Day Weekend, and will be sold at the Old Shell Gallery and at various events throughout the summer. The coloring book will feature a number of outline drawings by local artists, showing scenes or images which are iconic or evocative of the Les Cheneaux area. (Artists who are interested in submitting their work for the book can visit this link.) We hope that this volume may be the first of several. 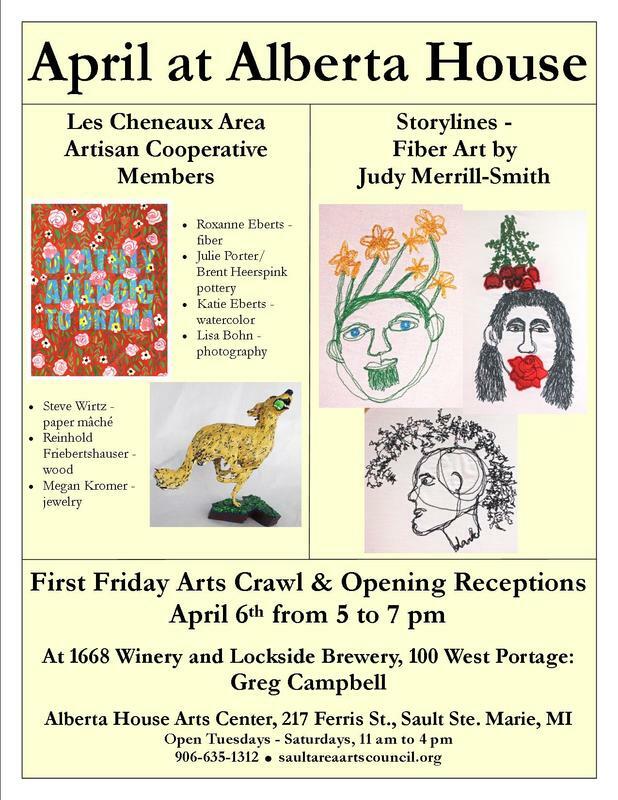 Proceeds will benefit the LCAAC as well as the Les Cheneaux Arts Council. The Arts Council has gotten involved to help reach out to artists, as well as get the word about the book once it is published. LCAAC members Elizabeth Fels and Katie Eberts have submitted pieces to the Sault Area Arts Council Emerging Artist Show at Alberta House in Sault Ste Marie, Michigan. The show runs from November 1 - 26, with a reception on November 18th from 6-8 p.m. 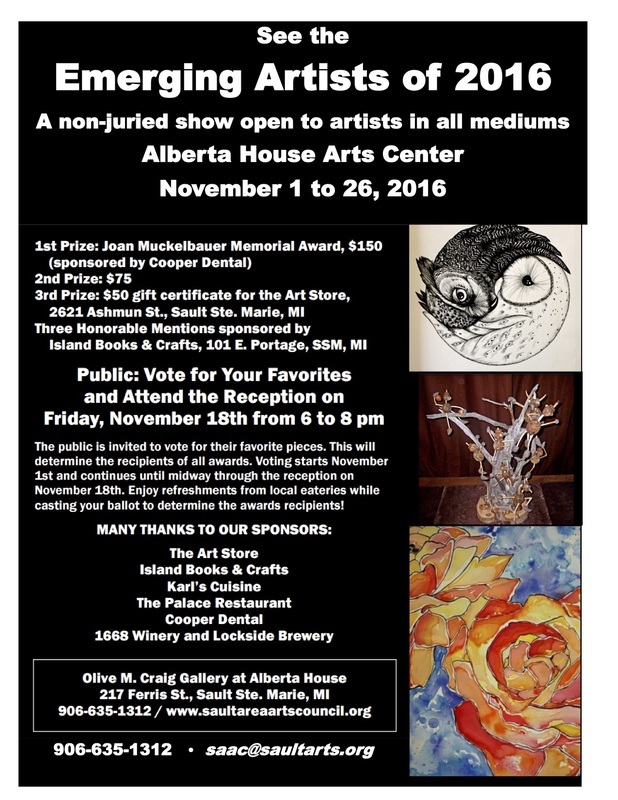 The public is invited to vote for their favorite works which will determine award recipients. Sault Area Arts Council is a nonprofit organization whose mission is to promote the arts and to make the arts readily accessible to the people of the Sault Ste. 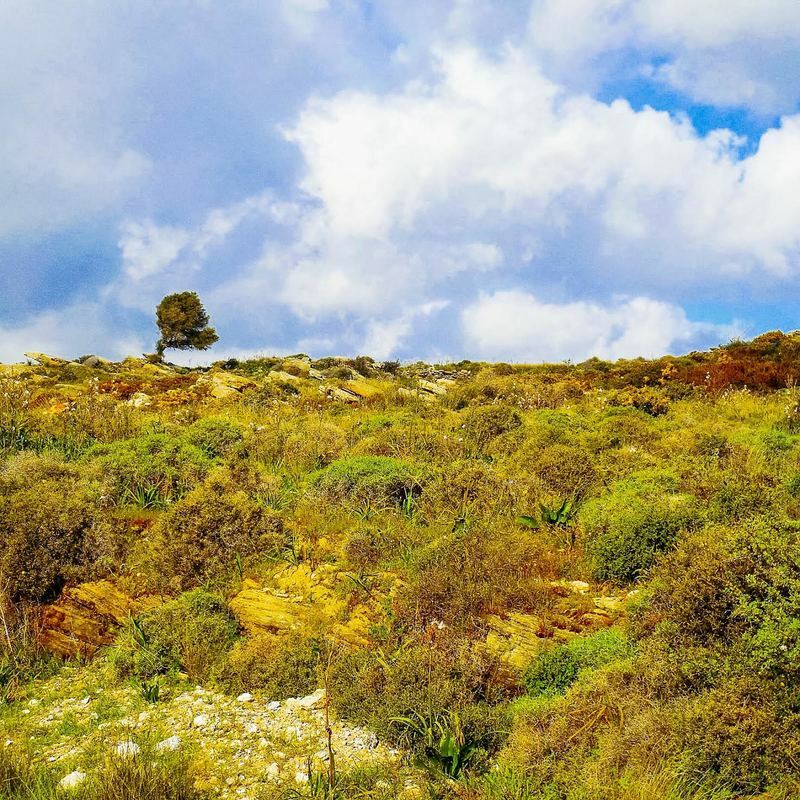 Marie area. The organization publishes the Alberta House News and owns and operates the Sault Arts Center in Alberta House. Many LCAAC members exhibit work at the Alberta House and in their shows on a regular basis. For more information, visit www.saultareaartscouncil.org. An illustration by long-time LCAAC member Katie Eberts has been selected as a finalist in the EDDY Awards. 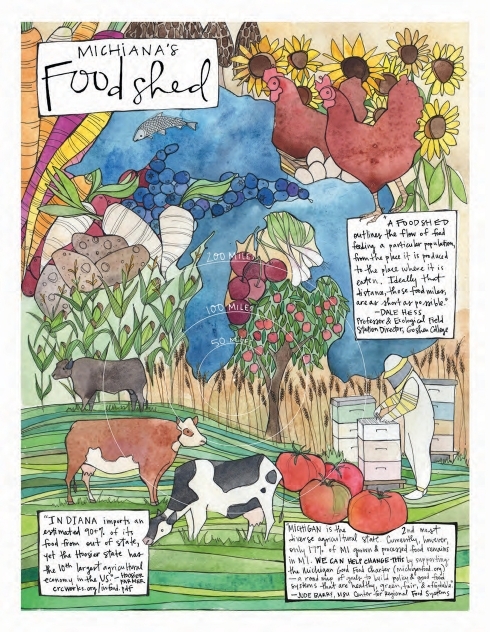 Katie’s illustration originally appeared in the Edible Michiana magazine. To visit the EDDY Awards website and vote for Katie, click here. The EDDY Awards are an annual competition which includes stories, features, recipes and illustrations from Edible Communities magazines in over 80 culinary regions throughout the US and Canada. Submissions are made by the publishers of each magazine, and finalists are selected by a panel of judges. Out of the finalists, each category will have two winners, one for Reader’s Choice and one for Critic’s Choice, and voting is currently open for Reader’s Choice; you can vote in each category once per day. Again, the link to view the Illustration category and vote for Katie Eberts’ artwork is: http://www.ediblefeast.com/eddyawards/vote/2016/9364 Please share! The Les Cheneaux Area Artisan Cooperative is excited about opening a new gallery in Cedarville for this summer. 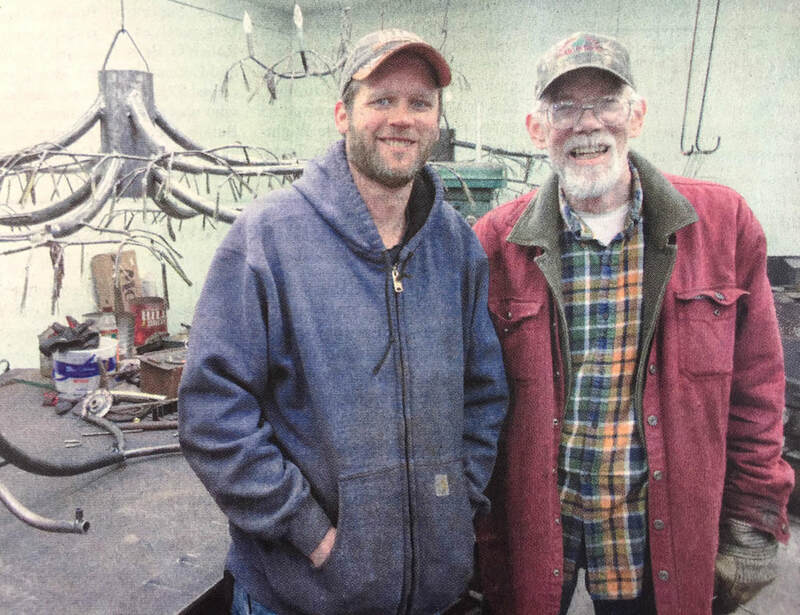 The Old Shell Gallery will be located in the old gas station at the corner of M-134 and M-129, and will feature the work of LCAAC members as well as some invited artists. A “soft-opening” is scheduled for the weekend of May 14-15, to coincide with the Aldo Leopold festival. This will give the community a sneak peak at what the Old Shell Gallery will be offering all summer. The gallery will re-open Memorial Day Weekend, and begin regular summer hours (Wednesday-Sunday noon-6pm) on June 1. Cooperative members are enthusiastic about this project, and multiple work parties have already come together to get the building ready for use. 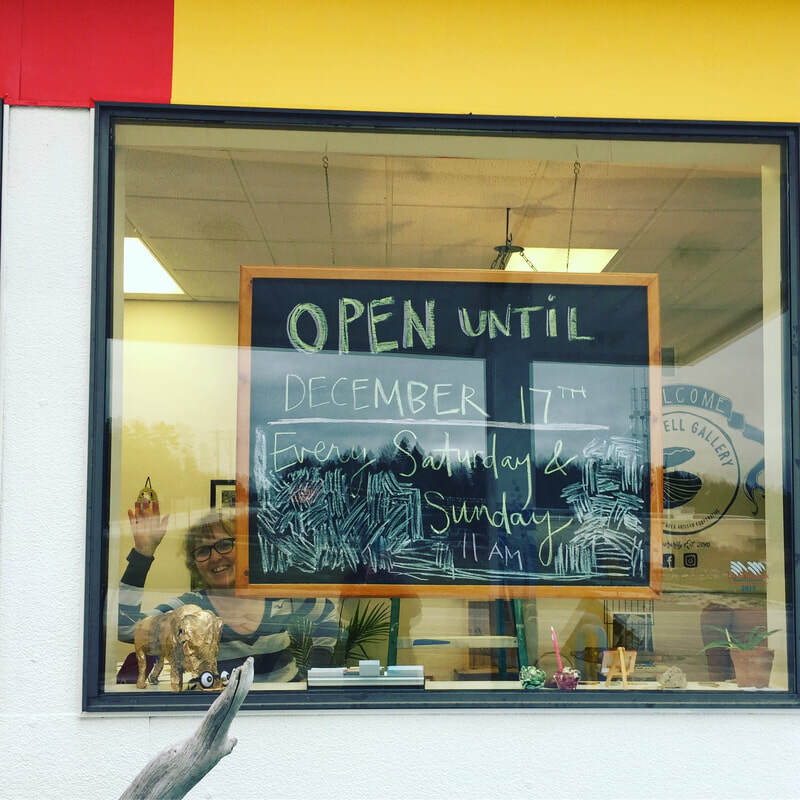 The gallery will be staffed by member volunteers during open hours, and a Gallery Manager has been hired for bookkeeping and other administrative duties. The LCAAC Board voted to move forward with the gallery on March 16, and hopes that this pop-up gallery will serve as proof-of-concept and help them decide whether and how to proceed with a permanent gallery in future years. The Board has allocated funds from LCAAC savings to cover start-up costs for the Old Shell Gallery, with additional support from the Les Cheneaux Arts Council and the Les Cheneaux Community Foundation for the revitalization of the building. Work for sale at the gallery will include photography, painting, ceramics, fiber, blown glass, jewelry and metal sculpture. There will be events scheduled throughout the season and a kids’ activity corner. For additional information and updates, watch the Old Shell Gallery page on the Cooperative website.